Pro Co Sound brings multi-tasking to their line of cables with Siamese Twin Cables. They are a unique combination of balanced audio and AC electrical power carried through the same cable assembly with individual shielded lines that prevent EMI/RFI from disturbing the audio signal. Its ingenious construction is extremely useful for providing power to self-powered, full-range, and bi-amplified loudspeaker systems from manufacturers like Turbosound, JBL, EON, EAW, Meyer, Mackie and others. This design minimizes the number of individual cables flowing from a set of components and aids in reducing cable snarls. Each cable has a fanout of connectors that provide enough reach for the lines to connect to the power and audio ports which may or may not be near each other. The cable ends are color-coded for easy identification and the cable body has a rugged jacket that protects the individual lines inside. 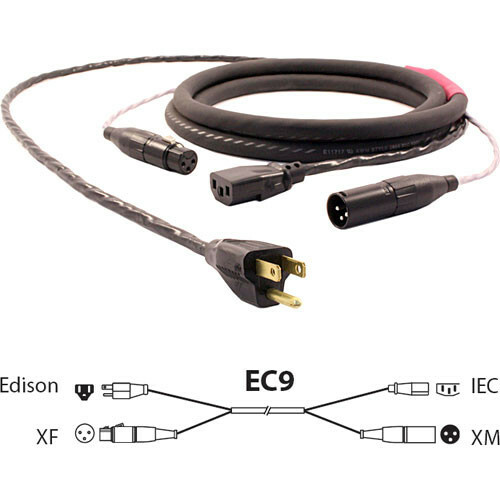 Rugged, and flexible combination-use cable provides fast set-ups and tear-downs without adding "clutter"
Box Dimensions (LxWxH) 17.6 x 16.5 x 5.45"